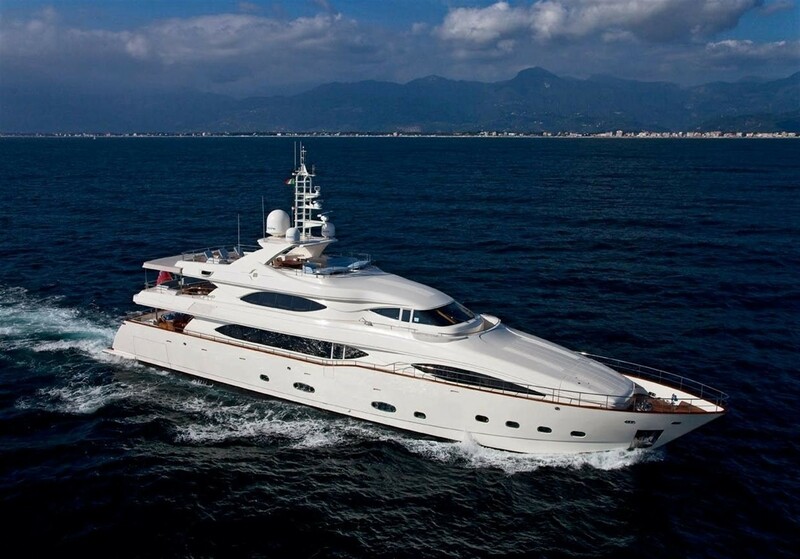 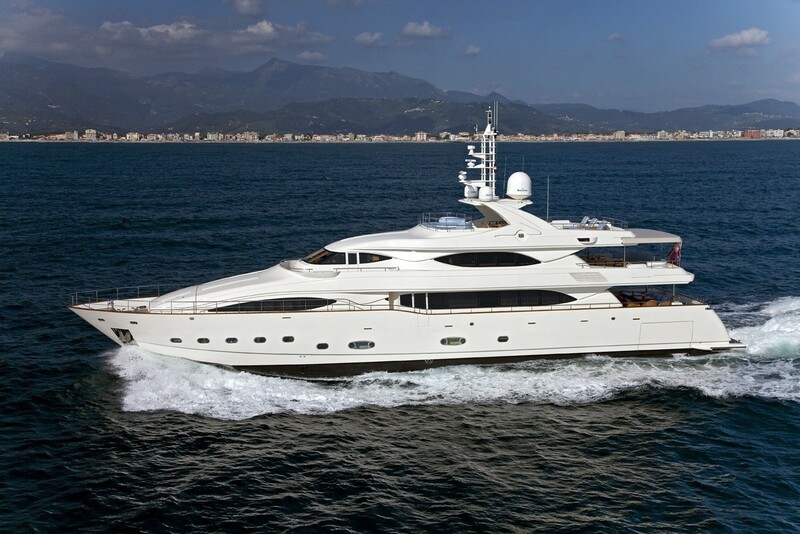 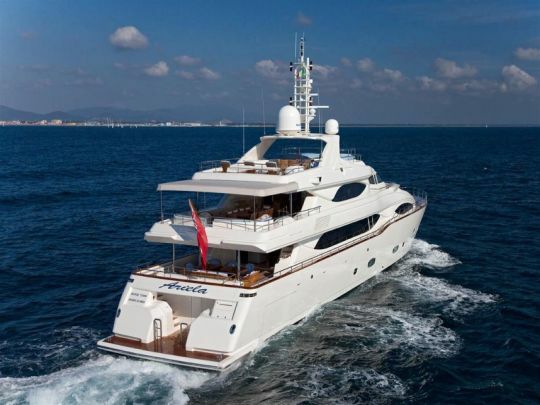 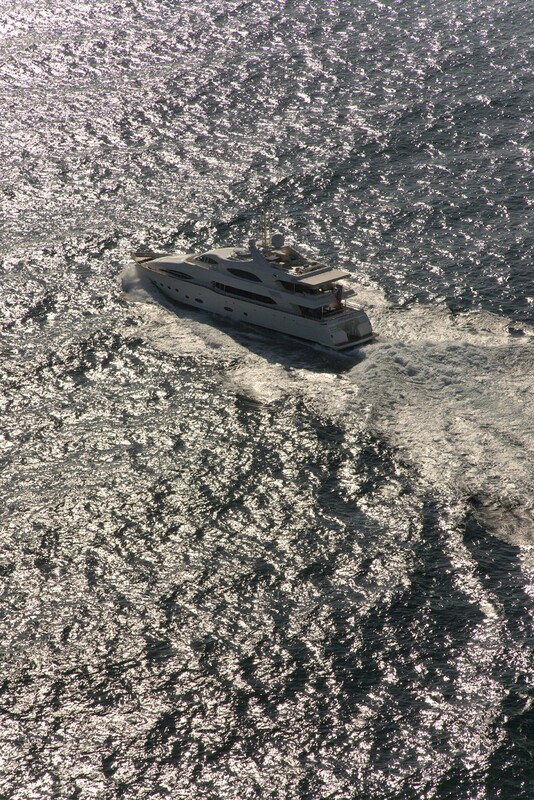 Luxury motor yacht ARIELA measures 40m (130ft) and was built by CRN (Ferretti Group) in 2004. 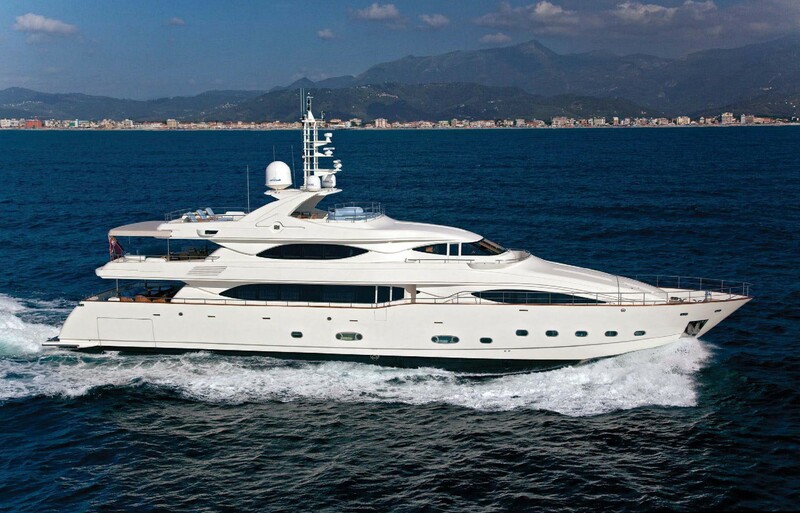 Offering deluxe accommodation in 5 cabins for up to 12 guests, M/Y ARIELA is available for yacht charters in the East Mediterranean. 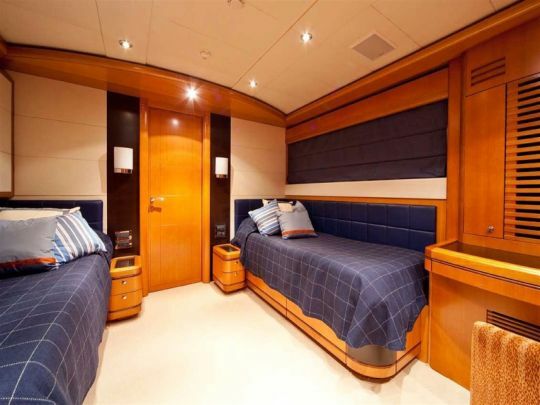 Crewed charter yacht ARIELA boasts a light contemporary interior décor by renowned Zuccon International, featuring soft tones of muted colour, combined with subtle cream furnishings. High gloss wood panels create an elegant ambiance, while panoramic windows infuse the generous living spaces with plenty of natural light. 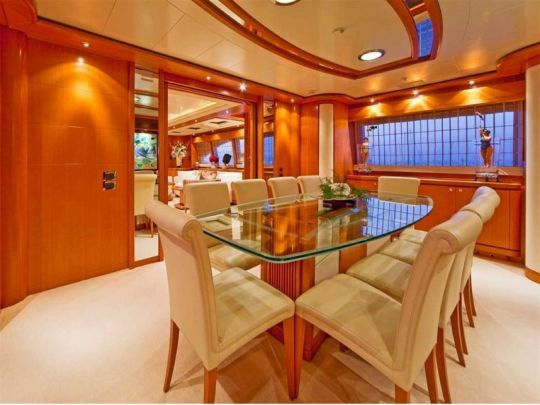 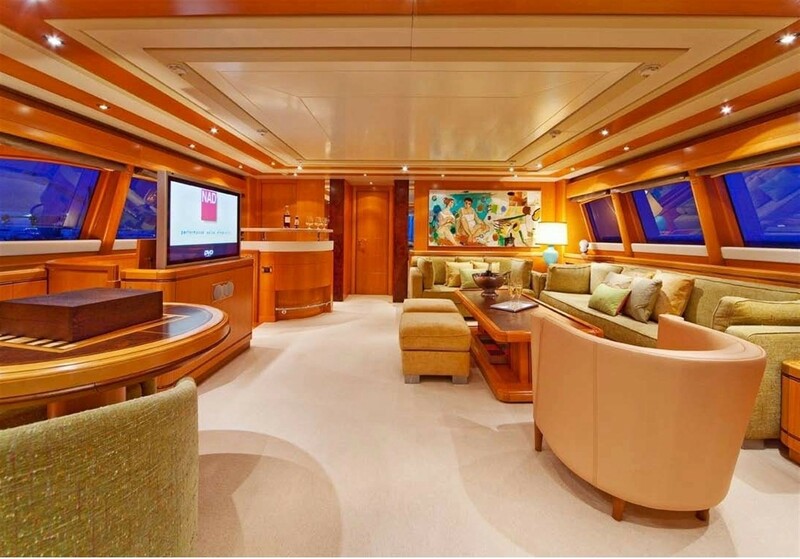 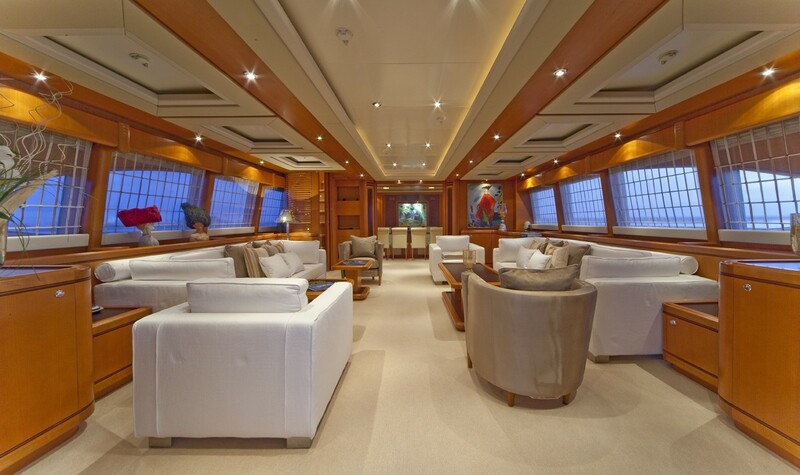 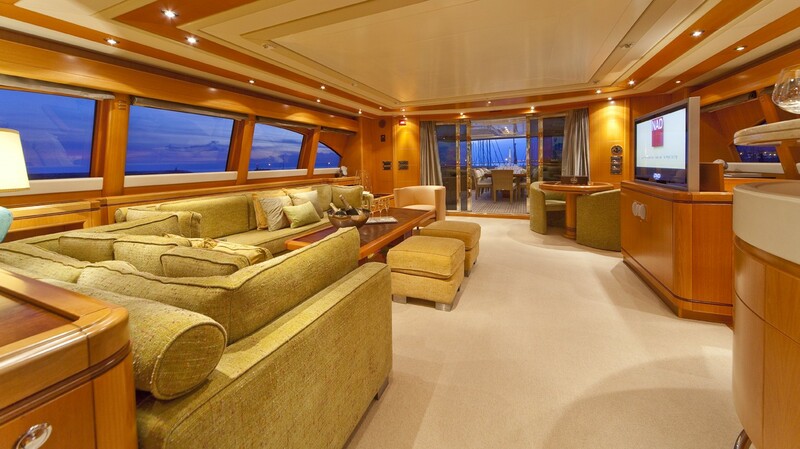 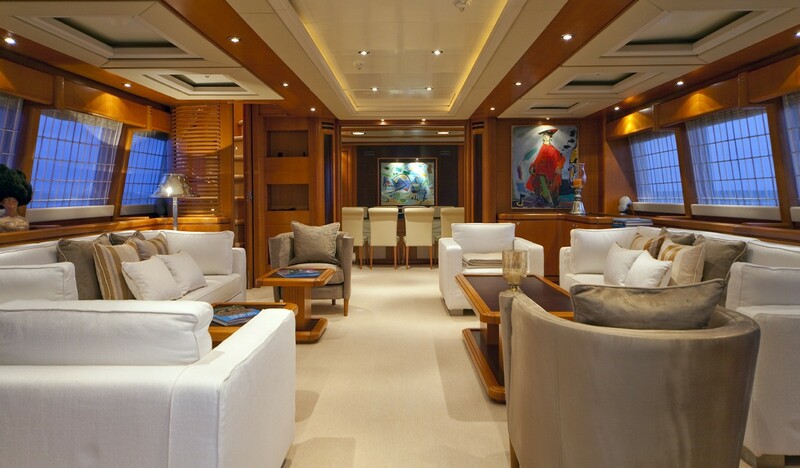 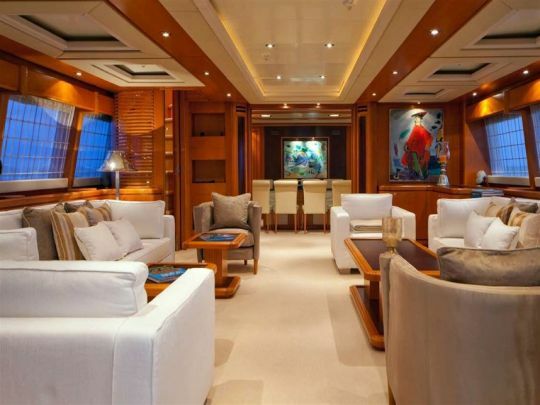 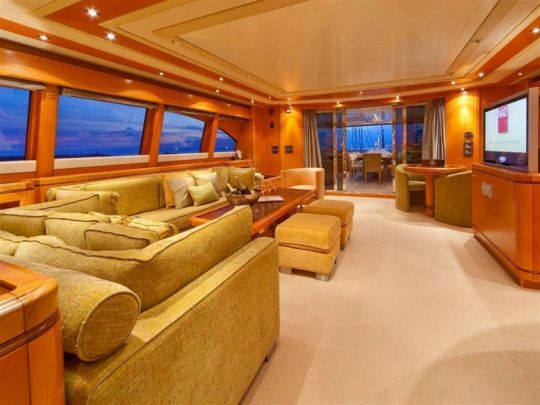 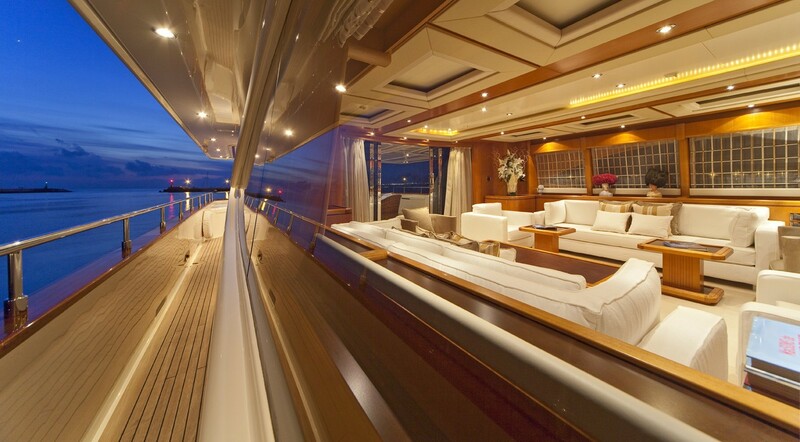 On the main deck, the salon and dining is a semi open plan, with a large lounge aft and dining forward. 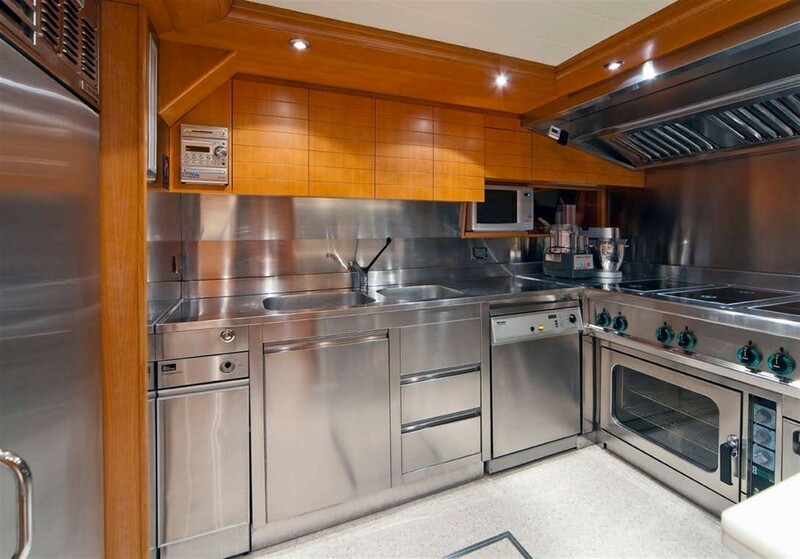 Amidships is the well-appointed galley, followed by the full beam master stateroom, complete with an oversized en-suite and private study. 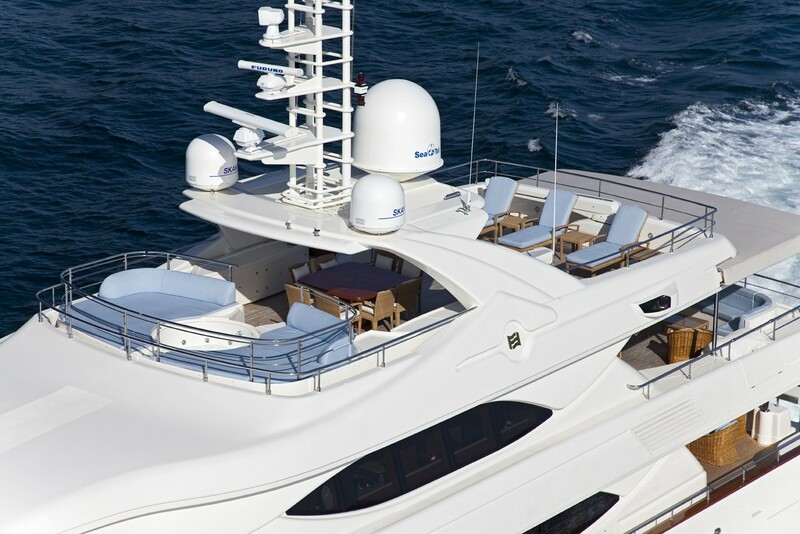 The upper deck offers a relaxing skylounge and bar, perfect for entertaining day or night. 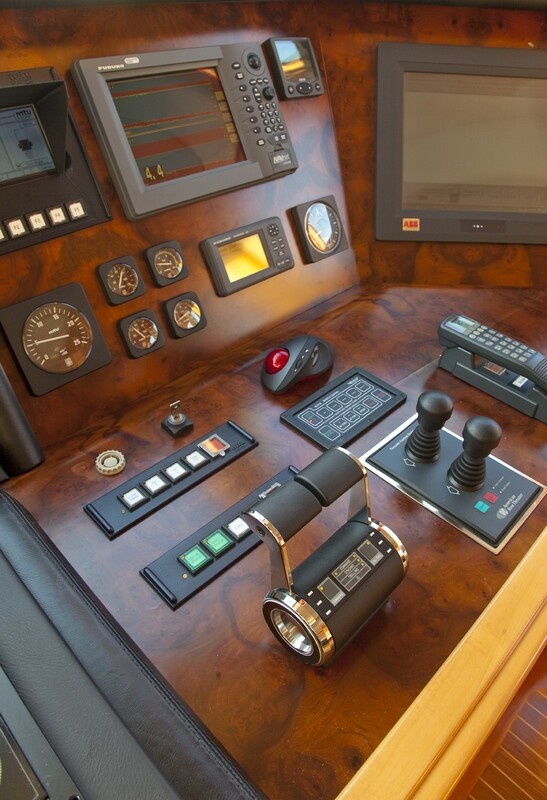 Forward of the skylounge is the state of the art pilot house and day head. 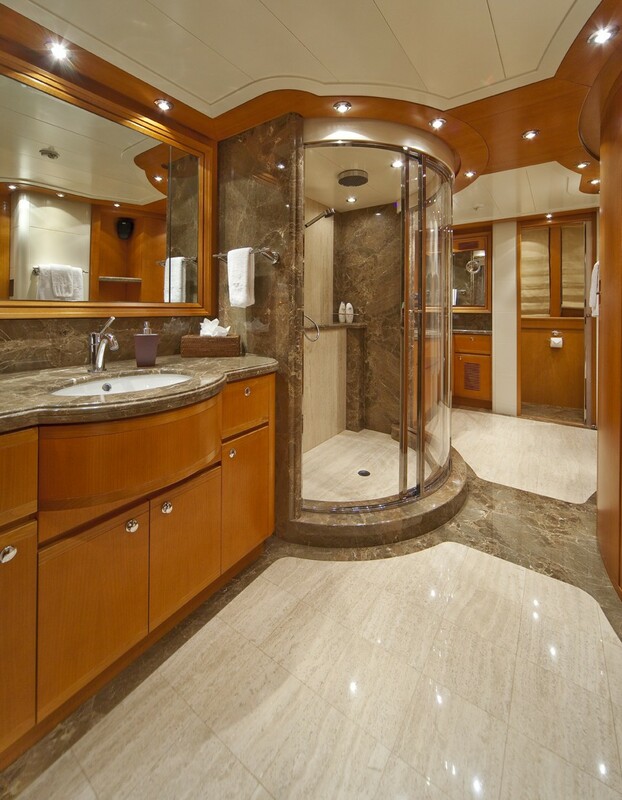 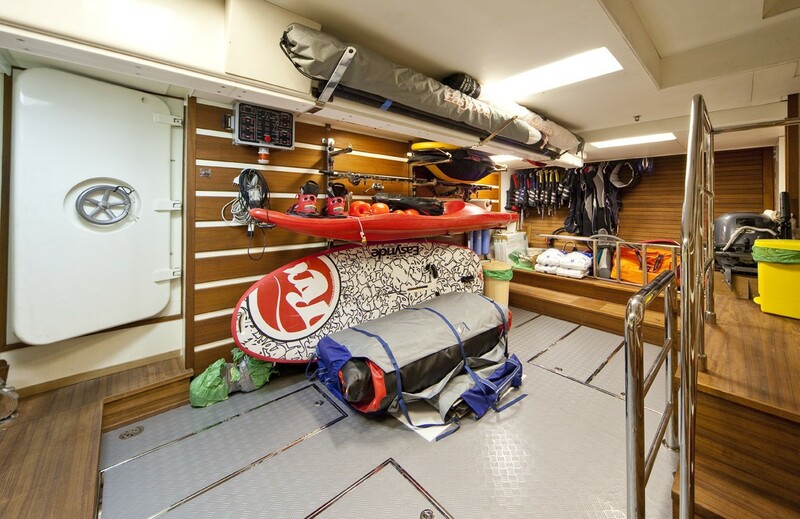 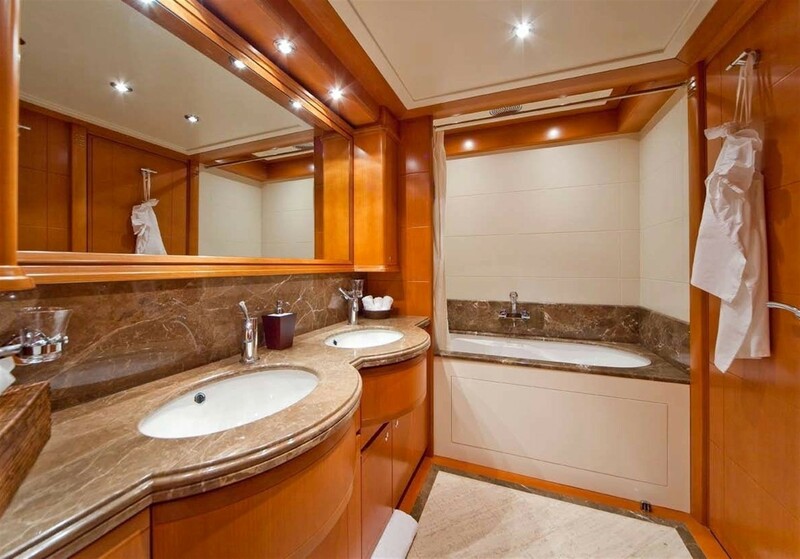 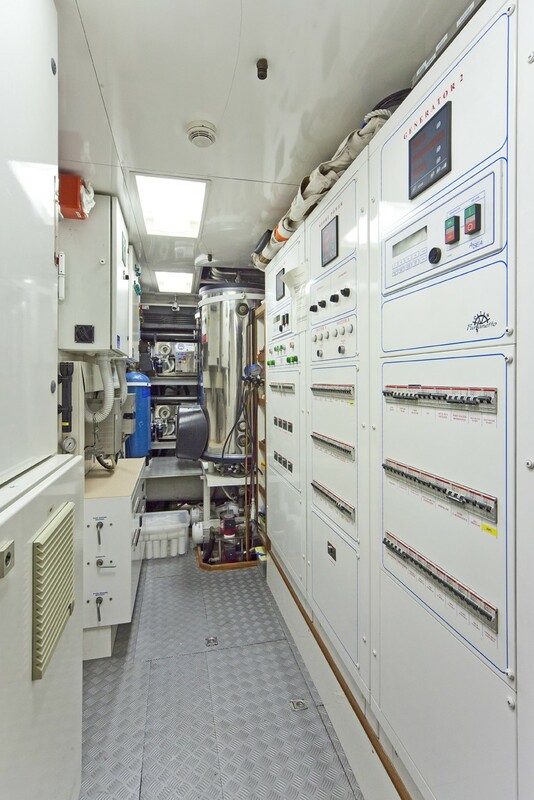 Additional guest accommodation is below decks, in 2 double and 2 twin cabins, each with private en-suite facilities. 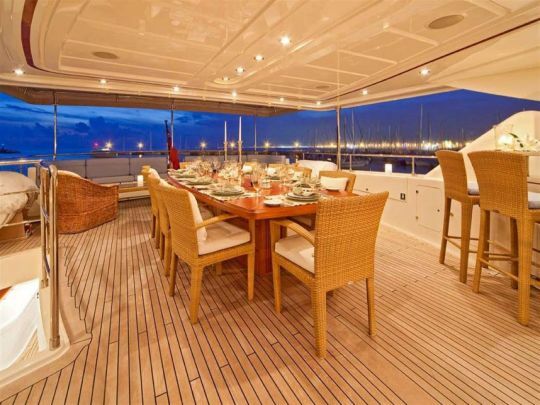 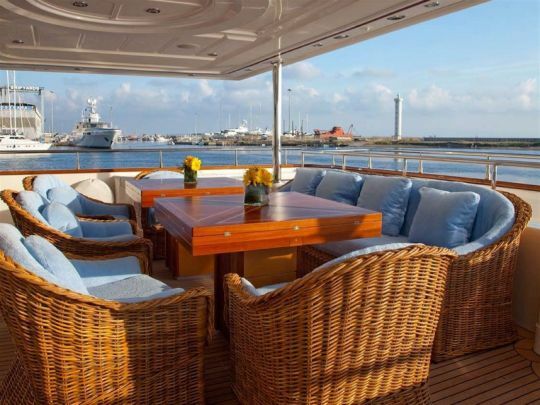 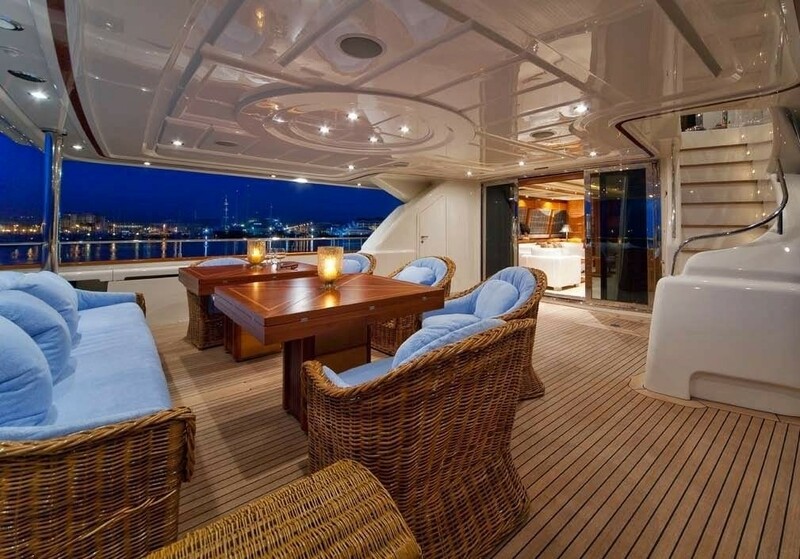 The tri deck yacht ARIELA has plenty of exterior living, ensuring guests ample space to enjoy. 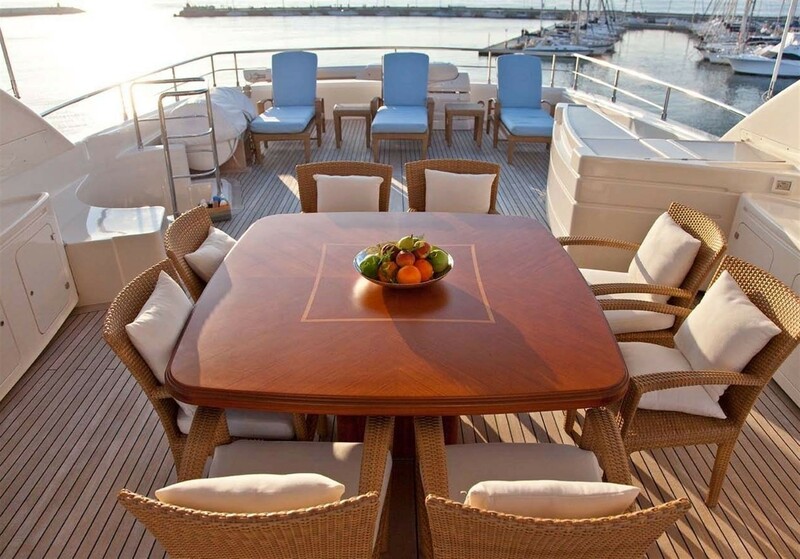 Aft of the salon, the shaded deck has plush seating and an alfresco dining option. 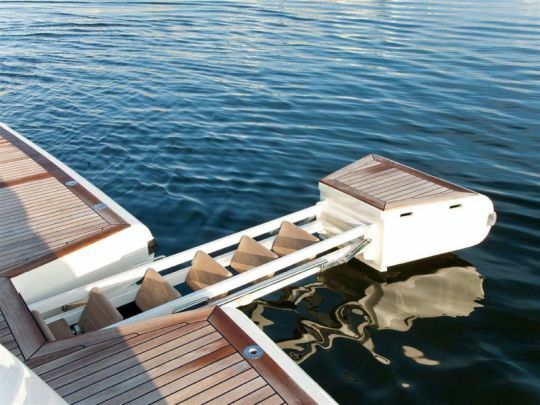 For the water enthusiasts, an extended swim platform and teak swim steps make taking a refreshing dip effortless. 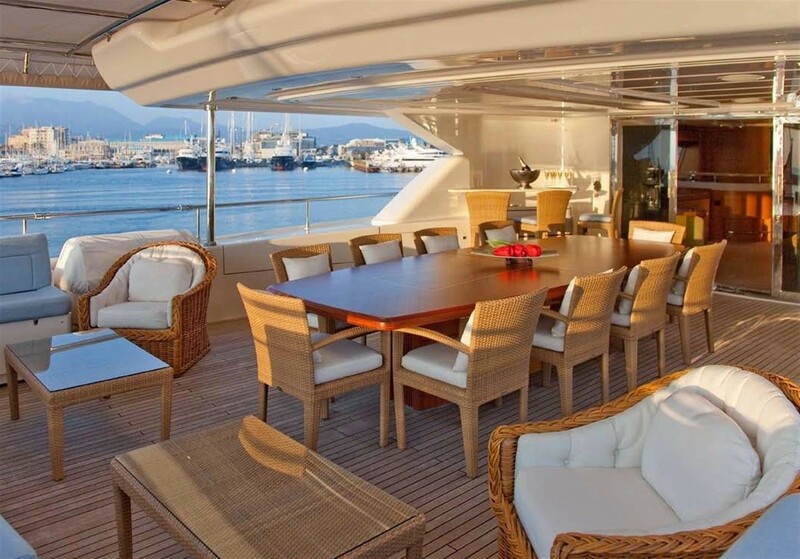 The upper deck is adjacent to the Skylounge and boasts an alfresco dining option and deluxe wet bar, this deck is sure to be the hub of any party occasion. 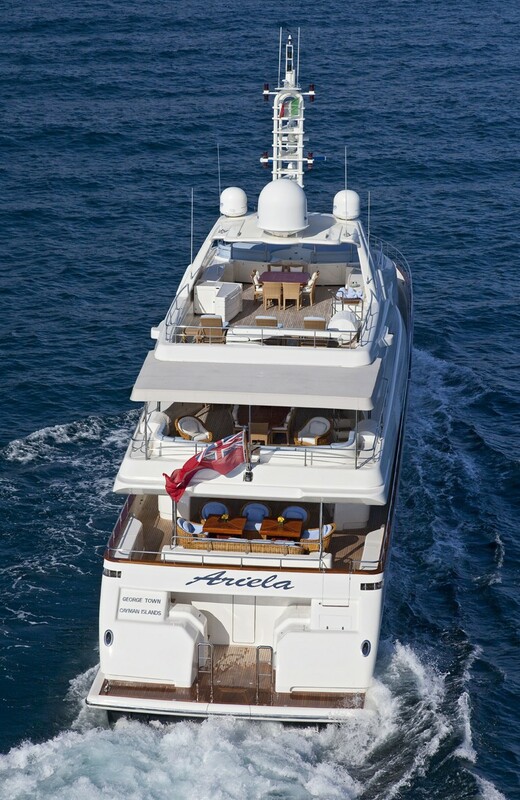 Motor yacht ARIELA features a generous sundeck, offering a further alfresco dining option, chaise lounges, a wet bar, deluxe Jacuzzi tub with wrap around sunpads and spectacular views. 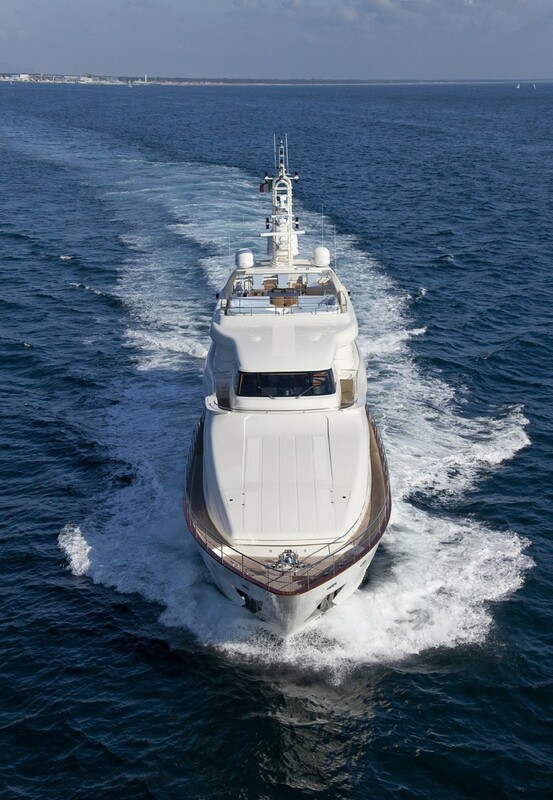 Powered by 2 x 2000kw engines, the ARIELA motor yacht is capable of cruising at 14 knots and reaches top speeds of up to 21 knots. 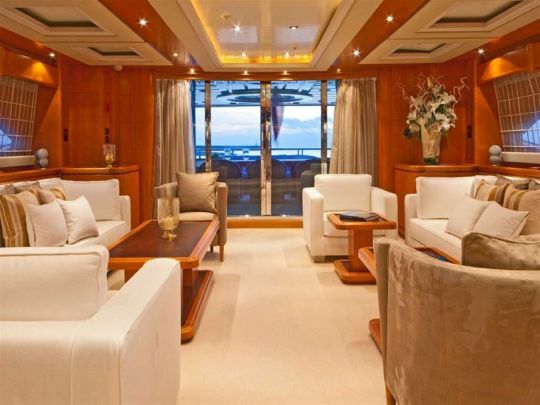 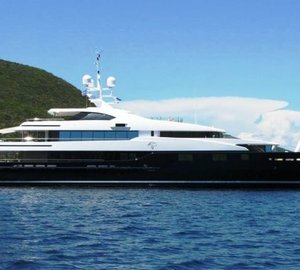 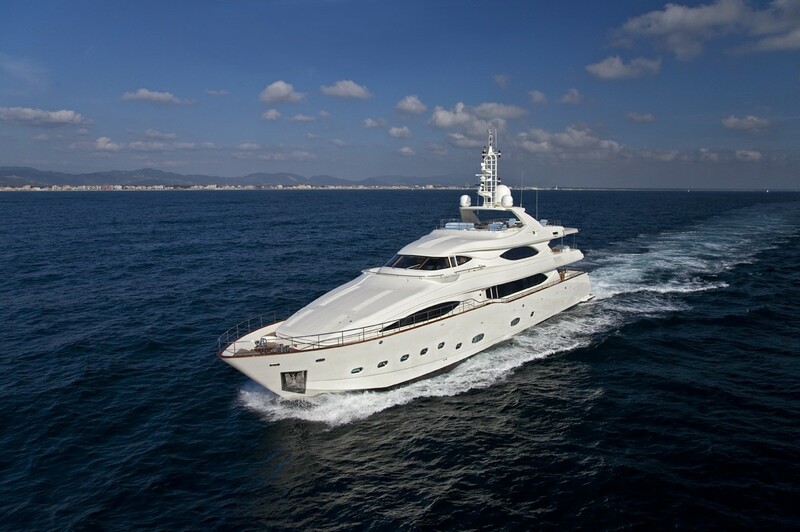 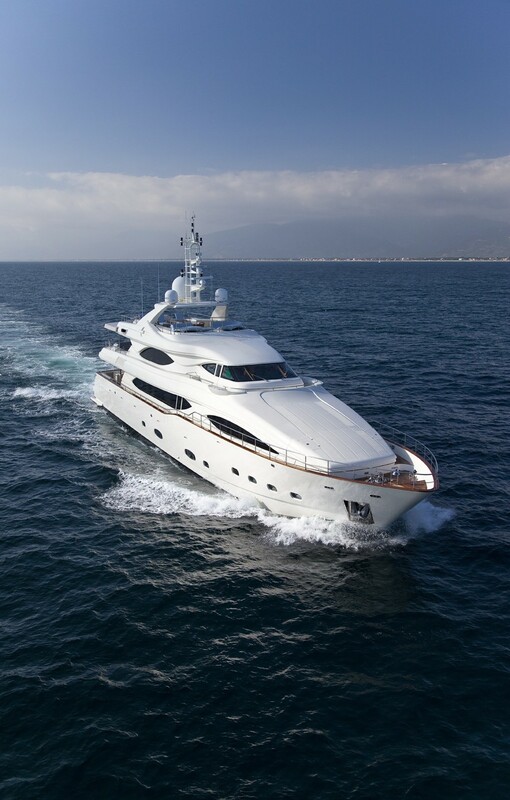 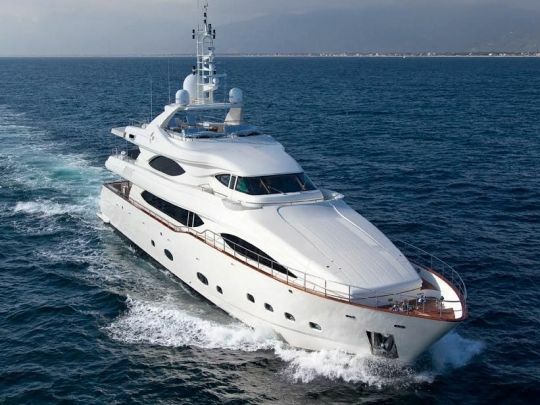 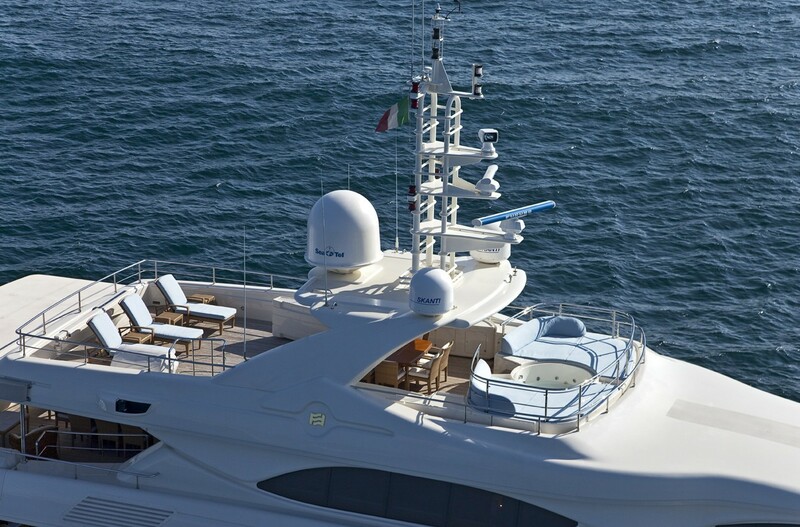 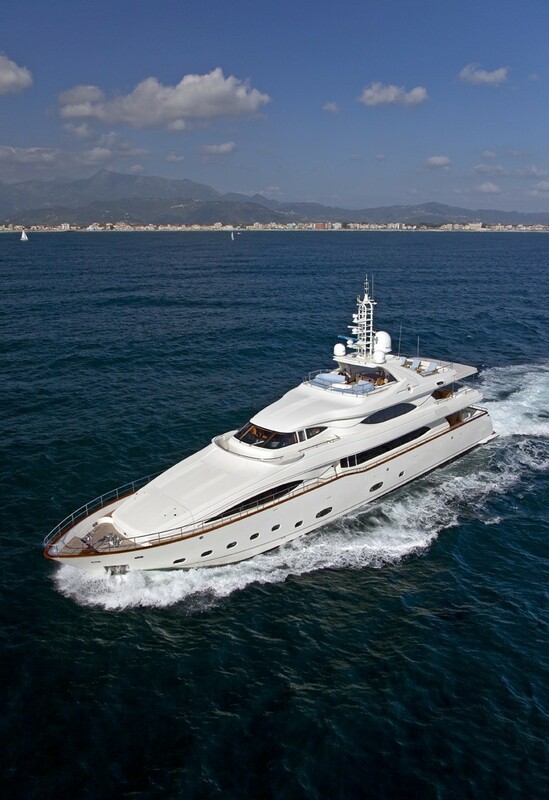 Luxury superyacht ARIELA can accommodate up to 12 charter guests, in 1 master cabin, 2 double cabins and 2 twin cabins. 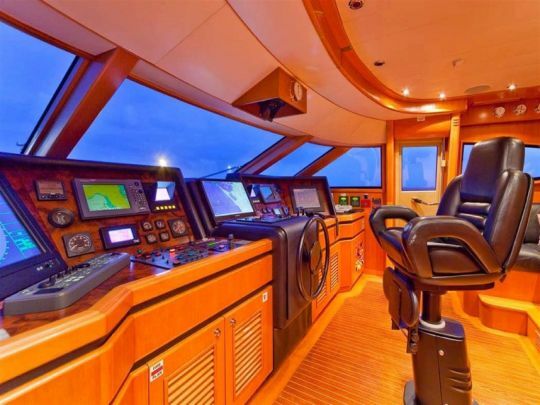 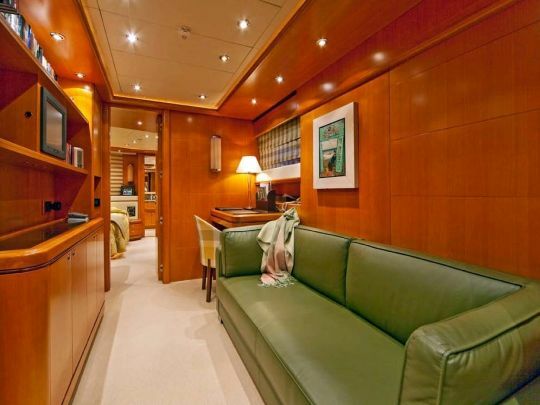 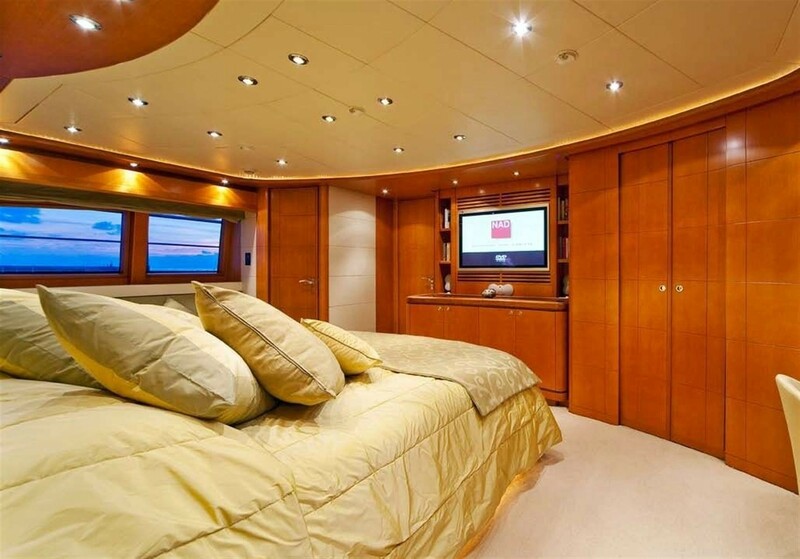 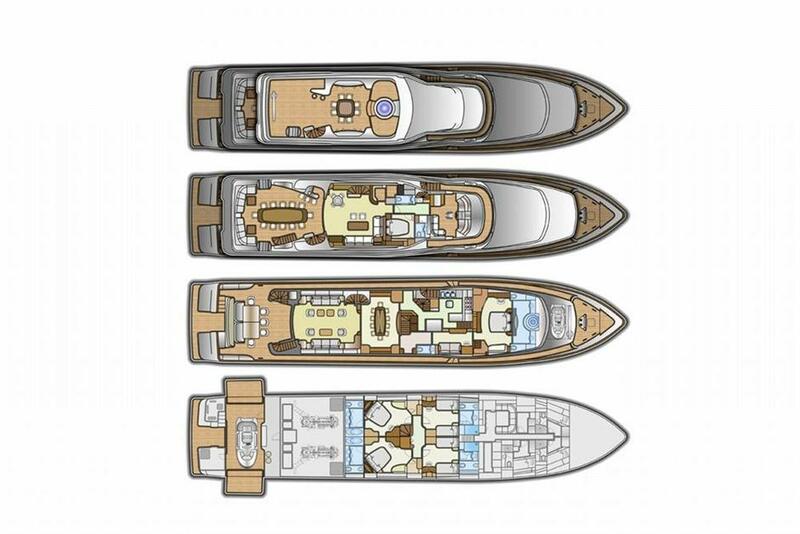 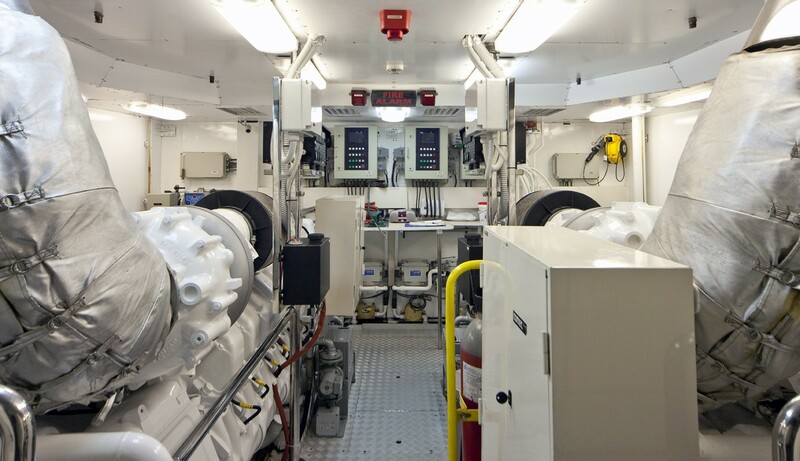 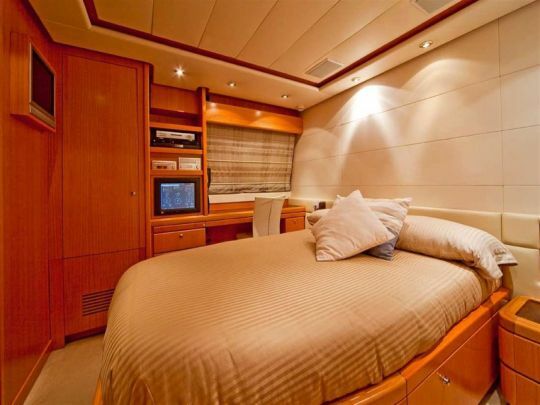 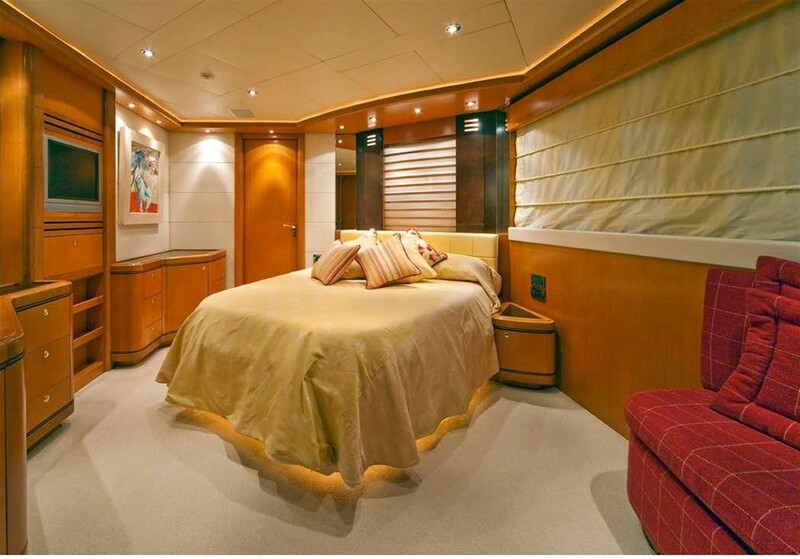 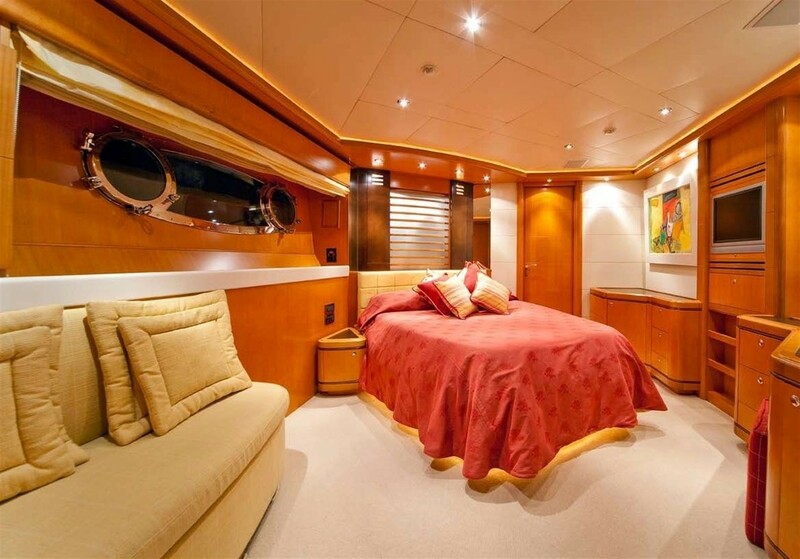 The master cabin is on the main deck, forward of the salon and galley, with a full beam layout, center lined king size bed, oversized en-suite with tub and private study. Below decks are 2 double cabins on port and starboard and 2 twin cabins on port and starboard, with an additional single Pullman berth. 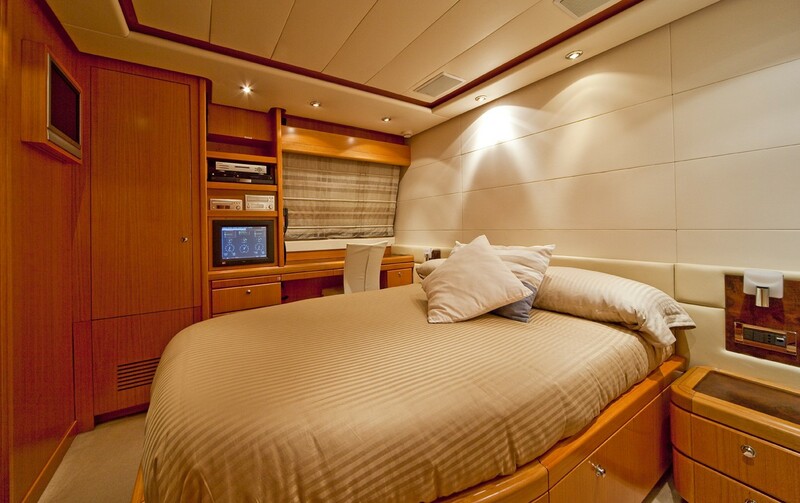 Each cabin has private en-suite facilities and features a soothing relaxed ambiance. 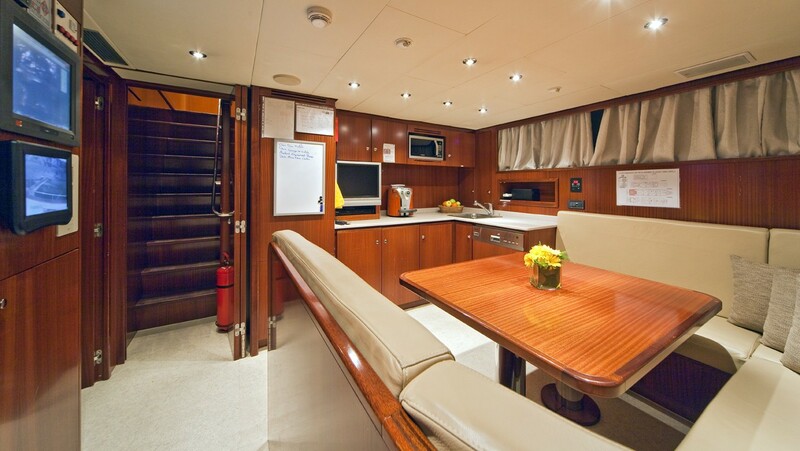 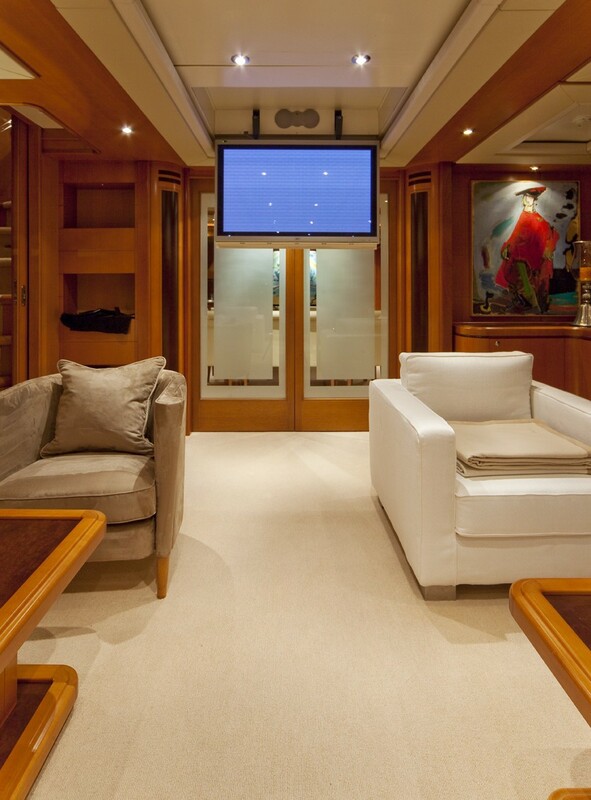 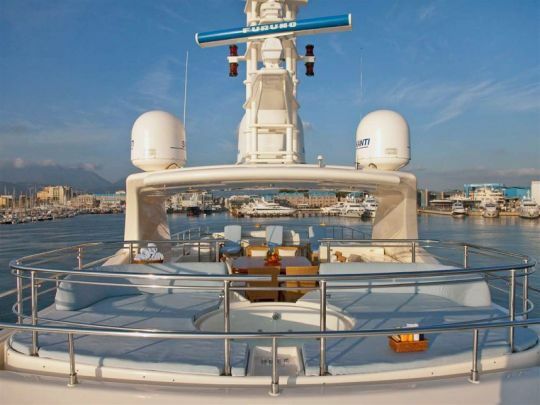 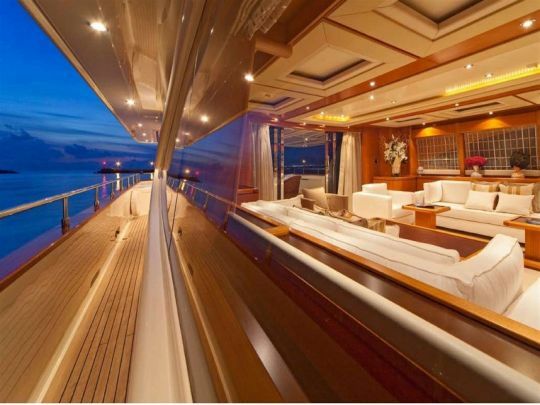 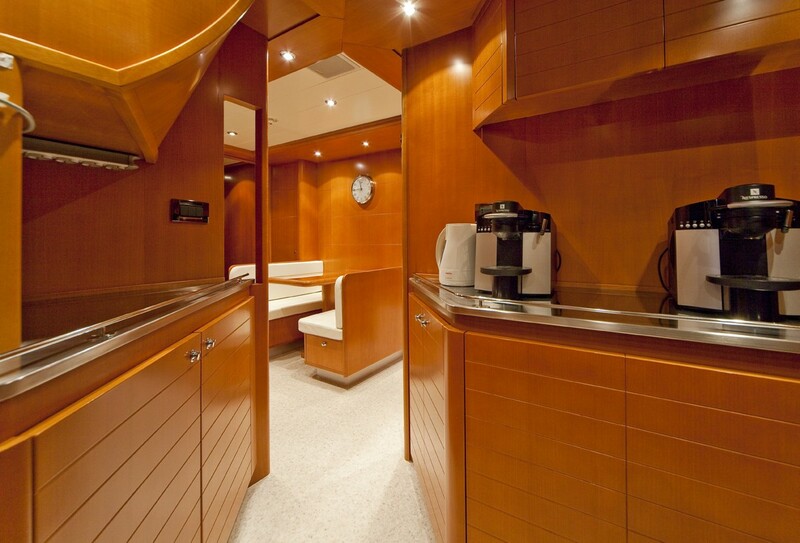 Please contact CharterWorld for a full list of yacht charter amenities available onboard the ARIELA yacht.